MISTERWIVES have debuted the wild and crazy video for their latest single “Our Own House.” The song is the title track of their critically acclaimed full-length debut, Our Own House. In addition, the New York alternative pop quintet recently earned their first RIAA gold plaque for the hit single “Reflections.” The song has accumulated over 500,000 digital downloads and streams since its release last year. 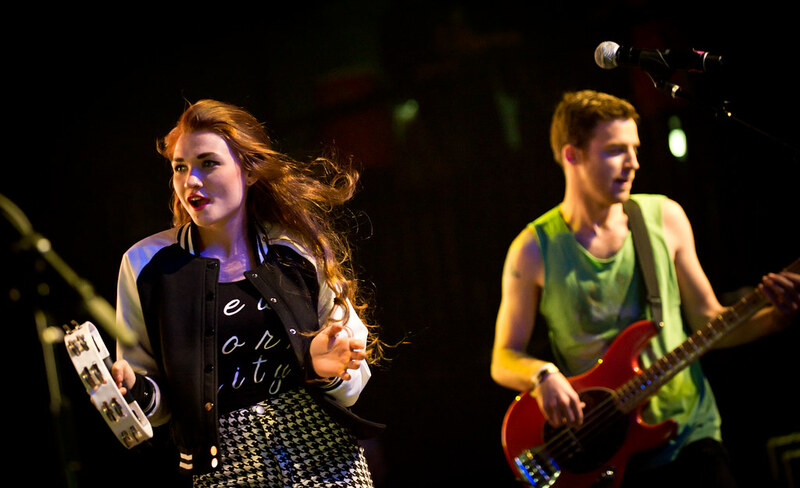 MISTERWIVES have solidified themselves as one of 2015’s breakout acts. This year they landed at #1 on Billboard’s Emerging Artist Chart and even garnered an “Artist to Watch” nomination at the mtvU Woodie Awards. Along the way, they’ve impressed audiences everywhere from Hangout Festival, and Lollapalooza to Sweetlife Festival, and Outside Lands. Following two sold out 2015 tours, MISTERWIVES are gearing up to embark on The Scrapbook Tour this fall, including stops at Boston Calling Festival and Austin City Limits Festival. Full routing below!